I can still remember vividly when I first watched Jurassic Park in the cinema, it was a friend’s birthday and there used to this rickety old cinema in a village not far from where I lived. The room shook as the T-Rex would roar. I was around 7-8 then and those iconic moment have stayed with me ever since. I then read the original book that the film was based on over my 30th Birthday whilst nursing hangovers in Las Vegas and the book was even better than the film. The idea of having a dinosaur park exist in real life, whilst slightly terrifying, has always been kind of a dream, and now Frontier are letting us do just that! 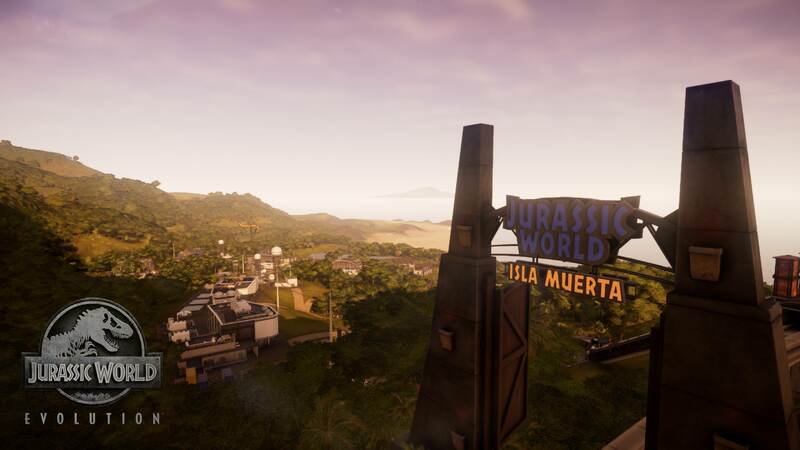 Jurassic World Evolution is, at its core a park building/management sim. You start out with the bare minimum of a park from one of the five islands from the franchise – you work your way through them, unlocking them as you gain more star ratings from your park. It’s your job to build up the parks reputation and attractions over time in order to bring in more guests. As you might expect, you will be able to research new buildings and unlocks to help develop your park, the list is quite extensive. But you can also research dinosaurs and to do this you will need to send teams out across the globe to archaeological dig sites to uncover fossils. Some sites will have the chance of finding specific dinosaurs whilst others will have a few different species to uncover. Each of the fossils will have a different rating to them and the higher the rating the better its quality and the better your research will be meaning you’ll gain more of the DNA strand allowing you to create better specimens. You will then have to incubate them and hatch them. If you don’t want to use the fossils found you can always sell them to bump up your funds. The main way your going to make money is by getting people in your park and by completing missions offered to from one of the three divisions – Security, Entertainment and Science. Each mission will unsurprisingly focus on an area within those fields. So science could be research specific new dinosaurs, whilst entertainment could be building a certain building. 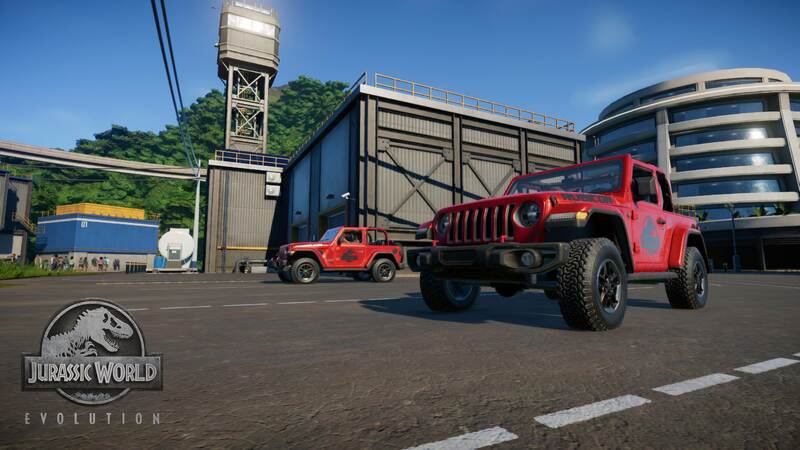 Jurassic World Evolution is a fully licensed game so you can expect to see almost everything from the franchise from familiar faces that actually provide their voices to the game, to iconic vehicles and attractions like the gyrosphere ride. It’s not all there though; we are missing the most iconic ride of all, the car ride from the first film along with the cars which was a little disappointing for me. I get that we’re in the modern day and if you had the choice of those gyro balls over a car on rails, you’d pick the gyro’s but I would’ve still loved to see the cars in the game, or have your park start out with the cars as the only way to tour around the islands which you could then upgrade to the gyro ride. Unfortunately this isn’t the only area where we’re lacking. The only real option for attractions is to create dinosaur pens where they’re free to roam around grassy plains, ponds and trees to be viewed from various types of platforms, there are no aquatic attractions and no aviary attractions. I have no idea if these are planned for future DLC but I would like to see them added as being able to create some sea world type attractions and huge bird cages for guest to walk through would be really cool to see! But let’s not focus on what isn’t there, let’s focus on what is! And what is there are basically all the staples for land dinosaurs and they all look fantastically detailed even when you zoom right in on them. I also love that you can manually drive around in the ranger jeeps and take them in to the dinosaur pens to restock food supplies, or just drive around taking photos you can then sell. It’s a novelty really, but it’s a nice novelty to have. Your dinosaurs also have basic needs and you will have to make sure they have access to food and water supplies. I made the mistake early on of releasing my first carnivore in to my main enclosure with all my other herbivore dinosaurs thinking that, ok, maybe it would attack and kill one of them. But no…. it went on a rampage and killed almost all of them. But I was able to knock it out with a sleep dart from the chopper team you can utilise and then move the beast to its own enclosure; you will also need to use the helicopter if dinosaurs escape their enclosures too. You can add in feeder plants and what are basically meat platters to feed the dinosaurs and terrain manipulation allows you to create watering holes, all the essentials for keeping them happy. At times your dinosaurs can get sick, so you will need to act fast in order to make them healthy again. This is where the jeep and chopper come in again, and you’ll have to get up close the dinosaurs to shoot a dart of healing potion in to them – that’s not actually what it’s called, but that’s basically what it is. For me, the best and most exciting part of the game was getting to create and see dinosaurs of all shapes and sizes and personally I think this side of the game is great. The park building side feels like it’s lacking slightly and with the aforementioned missing aviaries and sea attractions I can’t help but feel like that side of the game has been let down slightly. I’d rather see more effort in that than hear the real voice actors from the films every now and then. That’s not to say that it’s a bad game or that the park building is bad because it’s not, quite the opposite. There is still a lot of fun to be had in creating interesting parks and figuring out the best balance between spending money on research, security or attractions. I’ve also had a lot of fun just driving around my park in the ranger jeeps, or gyrosheres taking pictures of the dinosaurs or just getting nice up close views. 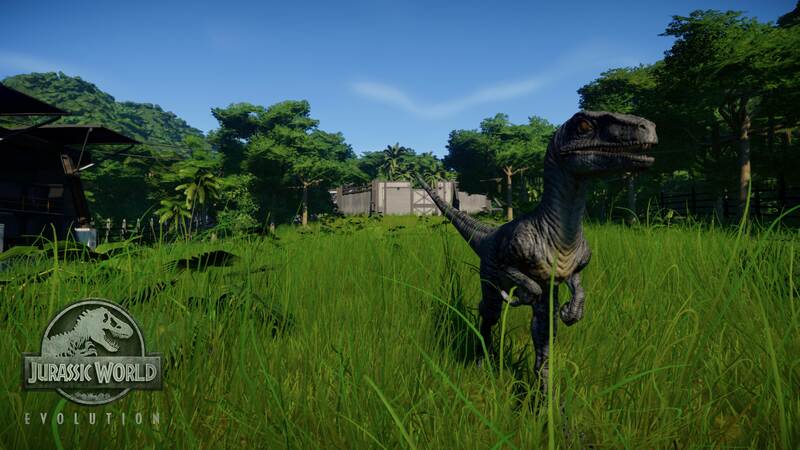 Jurassic World Evolution will keep you busy for a while, but it won’t provide you with the depth in creation like Planet Coaster does, so if wild creations is your thing, then maybe look elsewhere. But if you want something that will let you get fairly creative with parks, that also has a good management side to it and awesome looking dinosaurs, the Jurassic World Evolution will suit you just nicely! Jeff sells! That’s for sure. It’s a fun game, I like it and if you like the park building management games, then you should like this one too!